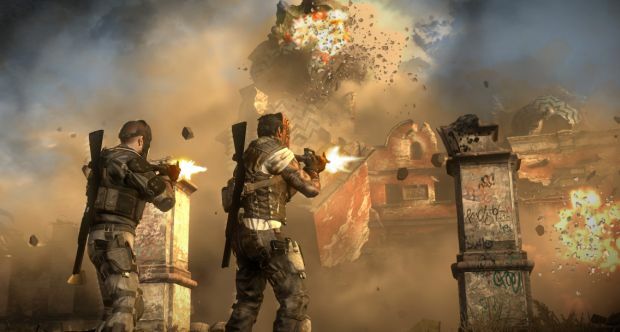 Army of Two: The Devil's Cartel releases on March 26, 2013 in North America, and March 29, 2013 in Europe. Folks that pre-order the game will be upgraded to the "Overkill Edition," which will include early access to three "Overkillers" contracts, more guns, and more costumes. You know, because a game like this totally needs stuff like the "Day of the Dead" themed outfits. For real, that's a thing. I played the new Army of Two earlier this year and felt the game was pretty average. Looks great, plays well, and the co-op is neat. Just nothing really there that demands you throw $60 at this game.